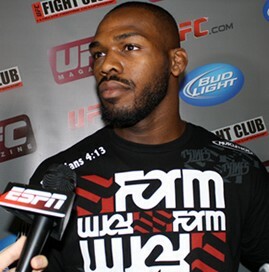 Remember when Jon Jones posted some anti-gay remarks on Instagram a couple weeks ago in response to some fans dogging him online? Well then you probably remember the “I lost my phone” and “I got hacked” defense he immediately employed, neither of which sounded all too convincing. Well, guess what? He’s got a whole new story now. And THIS one MUST be true. Now Jones is claiming that a “dude” at a media firm did it. Jones has a media company working for him to help manage his social media presence, a practice not at all uncommon among celebrities. That’s the person responsible for the offensive comments, says Bones. So whether it was a lost phone, a hack job, or maybe a “dude” he hired to tweet for him, it wasn’t Jones…I SWEAR!! !